Could this unlock your phone? Would you want it to? Photo by Solar Mechanic on Flickr. »We learned yesterday evening that NHTSA is opening a preliminary evaluation into the performance of Autopilot during a recent fatal crash that occurred in a Model S. This is the first known fatality in just over 130 million miles where Autopilot was activated. Among all vehicles in the US, there is a fatality every 94 million miles. Worldwide, there is a fatality approximately every 60 million miles. It is important to emphasize that the NHTSA action is simply a preliminary evaluation to determine whether the system worked according to expectations. But it didn’t. The autopilot was in effect an accessory to the death. This was inevitable, eventually; what happens now? »A recent patent application by Samsung showed how its iris scanner would work and suggested that three lenses would be required for accurate recognition, which we can see by the three circular holes at the top of the Note 7. Considering that the iris scanner needs to be mounted above the display, the leak also reveals that Samsung is set to do-away with its logo on the front of the handset, in a bid to reduce the amount of bezel above the screen. Iris scanner plus: should be pretty much impossible for someone else to get into your phone with you not there. Iris scanner minus: all they have to do is hold it to your face? Cool, but not necessarily perfect. Spotify daily subscriber growth accelerated dramatically in January 2015. Despite this, claims from the company that Apple Music accelerated user adoption don’t hold water since it launched several months later. If you take a look at daily user addition, Spotify decelerated since the launch of its rival music service. Apple Music experienced huge adoption in the first six months. It surely helped the one month free trial, but once it expired, users stuck with the service. Even now, when daily growth has relatively slowed, Apple Music has similar daily growth than that of Spotify today: one million new paid users per month. Daily growth is a clever way to look at it. »How do you catch up with the biggest music streaming service? Well, not approving app updates is one tactic, and Spotify says Apple is doing just that. The streaming service sent a letter to Apple’s legal counsel this week claiming that the company is rejecting an update to Spotify’s iOS app and it’s “causing grave harm” to users by doing so. The letter explains that Apple won’t approve the new version because Spotify doesn’t use the company’s billing method for in-app purchases and subscription services. Apple announced the changes to app subscriptions in iTunes just before this month’s WWDC. Puzzled. Amazon similarly avoids letting you buy Kindle content via the App Store (you have to go to the web). Is the problem with Spotify mixing the abilities? »Tourist/cybersecurity expert Benjamin Tedesco was hanging out in Vienna when he walked up to an ATM. Because he trusts no one he decided to give the reader a little tug and came away with a working skimmer designed to look exactly like the card slot on the original machine. It is the holiday season, so beware. Get your cash inside a bank if you can. »Symantec is a popular vendor in the enterprise security market, their flagship product is Symantec Endpoint Protection. They sell various products using the same core engine in several markets, including a consumer version under the Norton brand. Today we’re publishing details of multiple critical vulnerabilities that we discovered, including many wormable remote code execution flaws. These vulnerabilities are as bad as it gets. They don’t require any user interaction, they affect the default configuration, and the software runs at the highest privilege levels possible. In certain cases on Windows, vulnerable code is even loaded into the kernel, resulting in remote kernel memory corruption. »Apparently,Tavis emailed the exploit to Symantec in a password protected zip file. He included the password in the body of the email. The email server, running Symantec, grabbed the password out of the email, decrypted the zip file, and upon reading the exploit code, crashed itself. »Shoppers last year shelled out more than $62 billion on duty-free goods, which are imported but exempt from customs duties usually charged for bringing them across a border. 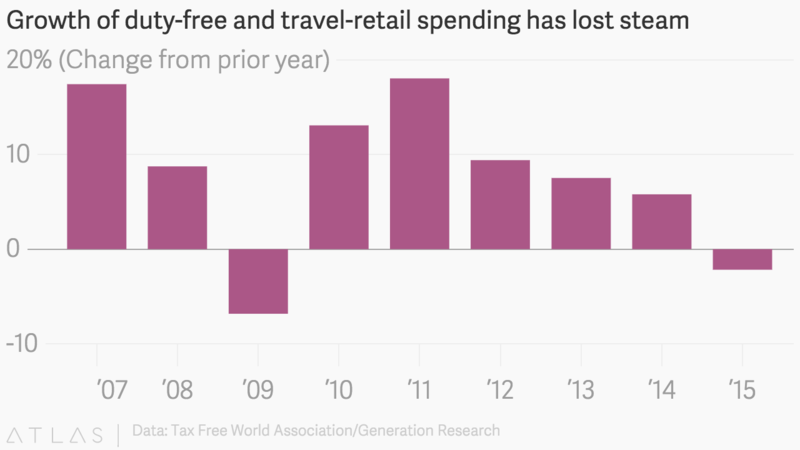 While that was a decrease of just over 2% from the prior year, growth in duty-free and travel retail has slowed since 2011. Last year’s drop wasn’t because consumers just soured on Toblerone chocolate bars, though confectionary and fine foods sales dropped 4%. They spent much less on watches and jewelry, with sales in that category tumbling more than 13.2% from 2014. The organization chalked up the drop to economic and currency volatility as well as terrorism and geo-political issues. Noted because tech products are also beneficiaries of duty-free spending. And notice how the previous drop was when there was a giant banking recession on. »An email sent to US Senate staffers yesterday has informed them that BlackBerry smartphones will no longer be officially issued. The email was sent to Administrative Managers, Chief Clerks, and System Administrators. »BlackBerry device support will continue for the foreseeable future and that BlackBerry is committed to maintaining their support of existing devices to include uninterrupted warranty and technical support. This is completely in line with what BlackBerry have been stating for quite some time – that they will continue to support BlackBerry 10. The surprise is that BlackBerry has still been making BB10 phones – I’d have thought they would have stopped six months ago. It was a billion-dollar effort to create another mobile OS; like many, it failed. Around 13m – perhaps 15m tops – sold over its lifespan since late 2012. »From Twitter for customer service, a way to very quickly be totally unhelpful to people and give them a phone number to call, to Amazon, the world’s easiest way to not necessarily pay the best price, we’re taking average-quality pictures on phones, carelessly but it’s better than having to think — and a filter will probably make it good and if we take enough one will be OK. We’re consistently choosing sites, apps and experiences that are just about good enough, but totally easy. It’s not totally new. We’ve done it for years with fast food, the easy but poor choice for decades. IKEA made billions on the back of “it will do,” but what was once exceptional moments have become the general pillar for life. Rather than looking at the channel guide or recording a show, or asking a friend, we’re watching the cute rabbit clip, the man falling down a hole or how did that not break her legs fed to us without a click by Facebook, YouTube or Snapchat. We’re rushing around museums to find the money shot to put on Instagram, running around Barcelona to broadcast the cool Gaudi thing and checking into Soho house, life has become orienteering for status. We’ve become passive, our lives endless easy experiences that don’t touch the sides. Where does it end? Will self-driving cars mean we no longer care about car performance? Will we be so transfixed by our phones that we don’t need to choose the posh hotel, or maybe even bother to fly somewhere? Will our lives become products we subscribe to on Amazon so we don’t need to think, music fed to us by software and shows that autostart? »The Memristor always was a rich company’s technology toy, but Meg Whitman wants HPE to be lean and mean, not fat and wasteful, with HPE Labs producing blue sky tech that rarely becomes a product success. Unfortunately it isn’t simpler to make and still isn’t here. NVMe SSDs have boosted flash’s data access speed, reducing the memory-storage gap, and Intel/Micron’s 3D XPoint SSDs will arrive later this year as the first viable productised technology to fill that gap. Can’t immediately find a link to the report. But the idea of robot owners paying taxes makes a sort of sense. »Video codecs will not deliver historic gains in the foreseeable future unless engineers come up with radical new techniques, according to experts from Google and Microsoft. The good news is pioneering work in areas such as augmented reality is opening new doors and one effort may produce a royalty-free codec in less than a year. Improvements in video codecs reduce the amount of bandwidth needed to serve video over the Internet. The gains determine the quality of the experience for constrained devices such as smartphones on cellular networks and are key to supporting the business models of cloud-based video services such as Hulu, Netflix and YouTube. Over the last 20 years, video codecs doubled gains in compression about every decade in a trade-off for ten-fold increases in encoder complexity. Looking forward, gains appear to peak at about 30% with practical results below 25%, said experts at an event here sponsored by the Society of Motion Picture and Television Engineers (SMPTE). First Moore’s Law, now this. And it’s not as if batteries are pulling their weight either. »Functional MRI (fMRI) is 25 years old, yet surprisingly its most common statistical methods have not been validated using real data. Here, we used resting-state fMRI data from 499 healthy controls to conduct 3 million task group analyses. Using this null data with different experimental designs, we estimate the incidence of significant results. In theory, we should find 5% false positives (for a significance threshold of 5%), but instead we found that the most common software packages for fMRI analysis (SPM, FSL, AFNI) can result in false-positive rates of up to 70%. These results question the validity of some 40,000 fMRI studies and may have a large impact on the interpretation of neuroimaging results. Shorter version: “your brain lights up when..” studies aren’t to be trusted. Coincidence or irony? The name of the hardware vendor above the ATM cash dispenser with the skimming device shown near Vienna Station? Go take a look again, LoL!